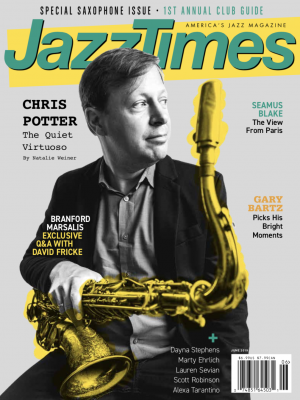 John Lyon has never been interviewed by a jazz magazine-until now. But then Lyon, since the mid-’70s the leader of the New Jersey-based soul-rock collective Southside Johnny and the Asbury Jukes, has never cut a record remotely like Grapefruit Moon: The Songs of Tom Waits. Two-and-a-half years in the making and conceived long before that, Grapefruit Moon (on Lyon’s own Leroy label) pairs the singer-whose vocal texture is now only a few shades less gritty than that of the notoriously laryngitis-lunged Waits-with the 18-piece LaBamba’s Big Band, led by Richie “LaBamba” Rosenberg. A member of the Jukes since 1976, trombonist Rosenberg, who also plays in the house band for NBC’s Late Night With Conan O’Brien, arranged the album’s dozen covers, sourced from classic Waits albums such as The Heart of Saturday Night and Rain Dogs, as well as some obscurities and more recent fare. 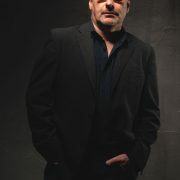 With the Jukes, Southside Johnny has taken on pieces of the Waits catalog before, putting his spin on “New Coat of Paint” (which is reprised on the new album) on 1984’s In the Heat and “Gin Soaked Boy” on 2000’s Messin’ With the Blues. But Grapefruit Moon, which is produced by Dan Gralick, an associate of Rosenberg’s, takes Lyon and Rosenberg’s tribute to another level completely. These are full-bodied, ambitious arrangements: Songs like the elegiac, brassy “Johnsburg, Illinois” (from Waits’ Swordfishtrombones), the swinging opener “Yesterday Is Here” (from Franks Wild Years) and the title track’s sleepy blues not only provide fresh directions for Southside Johnny and LaBamba’s Big Band but give Waits’ material, well, a new coat of paint. The writer is among the album’s fans.